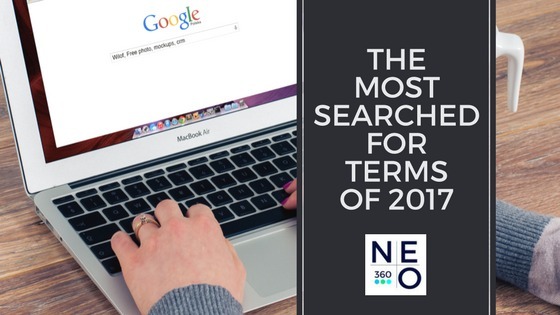 In reviewing the most searched-for terms of the year gone by, we’ll take a quick look at what they are and why they are so important. We’ll also take a look at the insights that may be gained from this list, as well as how you can apply these insights to your own digital marketing efforts. What are search terms and what exactly are they used for? As obvious as it seems, it is always well to start with the basics. Very simply, a “search term” is what a person who is looking for something on the Internet types into a search engine. Search terms are either just one word or a combination of keywords. If someone was looking for a place to get a facial in Singapore, for instance, she might open up Google and type the search terms, “Singapore facial”. Google itself spells the difference between a “search term” and a “keyword” by defining a search term as the exact word or set of words a customer enters when searching on Google.com or one of Google’s Search Network sites. A keyword is a word or set of words that AdWords advertisers create for targeting ads to customers. Now there are different types of search terms, which directly translate into the purpose or intention of the person conducting the search. Because of the intent, these search term types are also referred to as “search queries”. Informational search terms are typed in by people who just want information about something. These people aren’t really particular about which website the information comes from, as long as they can get it. If someone wants to know more about investment trading, for instance, he would probably use the search terms, “investment trading” or “how to trade for investment”. This person would most probably be content with whatever information he can get from the first few websites the search engine coughs up. Navigational search terms are used by people who want to find a specific website. Someone uses the search term, “Happy Smiles Dental”, for example, would probably be looking for the website of that specific clinic. This person would therefore most likely not visit the “Bright Smiles Dental” website, even if it should come out in the search, and even if “Bright Smiles” also has perfectly good dentists. Transactional search terms are the ones people will use when they actually want to buy or to convert. An example of this is a person who uses the search term, “buy Soothing Skin Cream in Singapore”. Since these search terms are combination of several keywords, they’re generally referred to as “longtail” keywords. SEO specialists would tell you, however, that people use longtails less often or have a lower search volume. So which search terms did people use the most in 2017? Bodak Yellow by Cardi B. That was fun—but what do these Search Terms mean to my business? There are quite a few insights to be gleaned from these search terms, many of which (particularly in the overseas lists) appear to be informational. First, let’s consider how Google came up with these most popular search terms. Filtering out repeat searches and spam, Google picked out the searches that had the highest traffic increase versus 2016, and categorised them according to topic. In Singapore, we can infer that the popularity of online shopping will continue to increase with Lazada Singapore and ezbuy topping the brand list, and Zalora making it to the top 10. We may also get an idea of what Singaporeans prefer in terms of recreation: we still like to go to the movies and we like our live concerts. We also continue to have a thing for sports as well as the latest tech. Knowing the kinds of trends that have piqued and held the interest of your target consumers can give you pointers for your own digital marketing. You can take cues from the branding efforts of OCBC and StarHub, for instance, which have succeeded in making their brands such popular searches. You may also have a better understanding of the kind of content your target audience may be interested in. To gain the best advantage of the latest search trends for your business, it’s best to leave your business’ search engine marketing to a branding agency in Singapore that has your best interests at heart. Get your business well on its way into the top search results when your target market comes a-searchin’. Get in touch with the search and branding experts at NEO360 today.